Did you know that Antarctica's largest land animal is an insect? Did you know that the smallest country in the world is only 0.2 square miles? Learn more weird-but-true geography facts with A.J. and Andrea from Dan Gutman's bestselling My Weird School series. This all-new series of nonfiction books features hundreds of hysterical facts, plus lots of photos and illustrations. 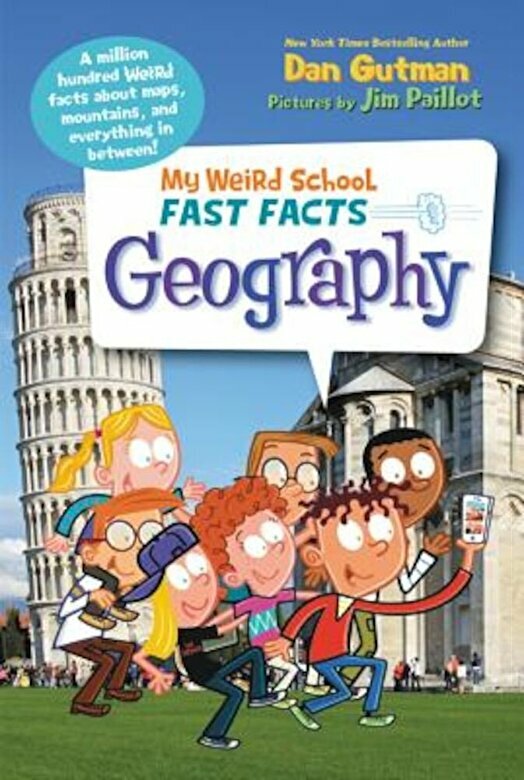 Whether you're a kid who wants to learn more about geography or simply someone who wants to know if there's really a town called Scratch Ankle, this geography facts edition is the book for you.